Let us bring mermaids to you! If you are looking for a unique, fun and interactive addition to your next event, you've come to the right place. What do you do at a kids birthday party? Our parties are very flexible, and we are able to customize our time with you to best fit your needs. Our services include posing for dry photos, swimming and playing with the children, pool games, a special birthday gift for the child of honor and anything else you feel would suit your party and guests. I am hiring for a large scale activation, production or commercial shoot. Are you able to travel? Absolutely! We have worked with several major production companies and had our mermaids in unique environments from center stage at a huge music festival to a tank in downtown Manhattan for NYC ComicCon and the Siren TV show. We pride ourselves on our professionalism, skill level and ability to easily work in any environment. We can also customize tails to match your event! How do you get around? Do the kids/guests see you without your tail? We can arrange for the mermaid to arrive in secret and get fully costumed out of sight. Once everyone is ready, the mermaid will need a few helping hands to lift her and move her to where the party will take place. Often a bedroom/bathroom off the pool is used to costume. At the end of the event, a great distraction is to have all the children head outside for a group photo and she will sneak out unnoticed. 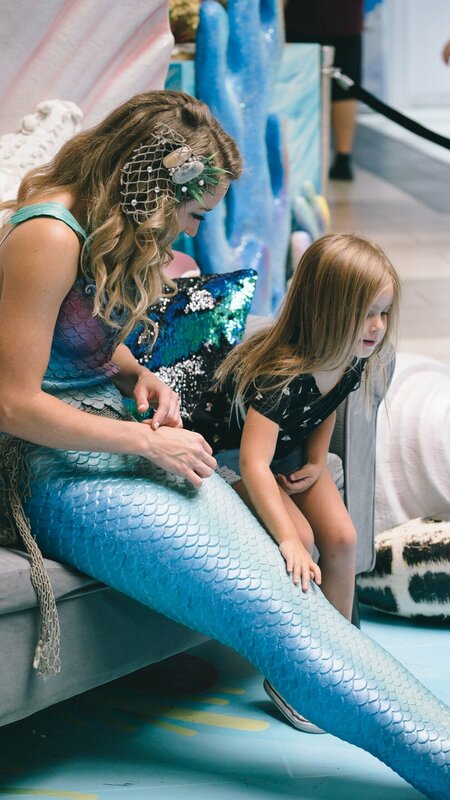 We also have a service available where the mermaid will show up in a "dry costume" and interact with the kids before "transforming" into a mermaid. This still requires use of a side room to costume in, but allows for some fun activities before pool time. We like to never have guests/children see us changing out of the tail, as it ruins the magic! Can you do adult events? Adding mermaids to a holiday party or adult pool party can be a blast! 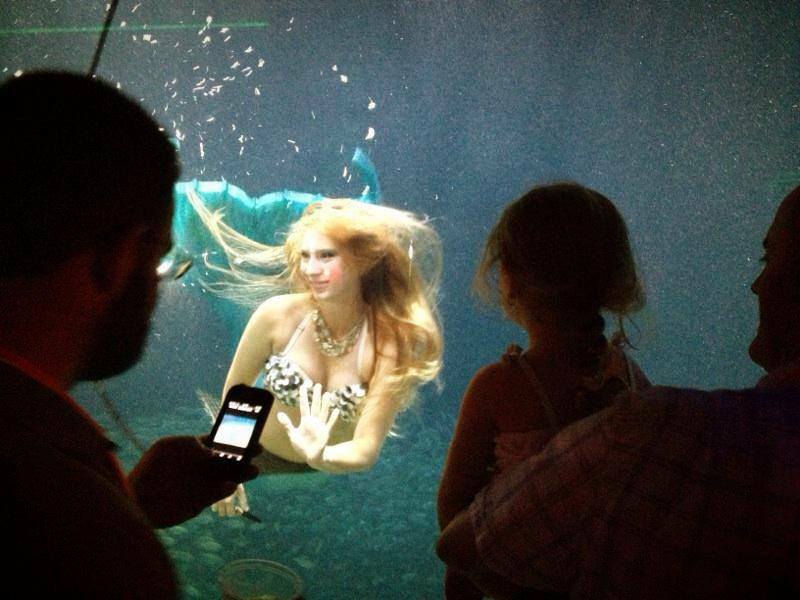 Mermaids as ambiance is sweeping the country, and has been featured on a number of reality TV shows. A beautiful mermaid swimming in an evening pool definitely adds a wow factor to your party, and will ensure your guests will be talking about your event for a long time to come. If you have specific questions or needs feel free to contact us to discuss.